Why consumer electronic businesses need to evolve. What if they don’t? Of all the industries that are upholding global economies and supporting businesses worth millions, consumer electronics is possibly the one that affects lives of the common earth citizen most intimately. Our mornings start with coffee makers and end with switching off TV and going to beds. As such, being a consumer electronics business could mean a huge success if done the right way, and utter loss on the otherwise path. Haven’t we seen sweet lifestyle offerings Apple brought to the world? Though I won’t exactly quote them to be necessities, the world seems to be swearing by its brand value! Brands like Fujitsu and Sanyo have drowned into cloudy waters on the other side! Consumer electronics device segment dominated the market over half of the overall consumer electronic market share in 2014. However smart home device segment is expected to grow at a fastest CAGR over the forecast period, 2015-2020. The consumer electronics device segment has been further sub-segmented into smartphone, feature phone, tablet, smart TVs, other TVs, set-top box, personal computer, digital camcorder & camera, digital media adapter, digital video recorder (DVR), game console, printer and other consumer electronics device. Among all the aforementioned consumer electronics device sub-segments smartphone sub-segment dominated the market and accounted for over 30% market share in 2014, followed by personal computer with over 15% share of global consumer electronics market. Additionally, smartphone is expected to be the fastest growing sub-segment during the forecast period. The basic requirement of the consumer electronics industry per se, is technology. And that, my friend, has evolved quicker than air depressions in the last decade. Since the concept of ‘Smart’ wormed into our lives, almost everything on the planet seems to be craving for a few sensors being installed into them. We begun with our phones, moved on to wearables, and now the whole appliance market stances cruel competition. Televisions have transformed into smart televisions and provide for internet surfing along with entertaining. There are smart washing machines and smart lights. Connectivity has sort of revolutionized the way we have been treating our home appliances. Talks about smart home by Apple spurred a lot of interest across the globe and now, almost every brand concerned with the littlest stuff needful in a smart home, has sprung into action. As such, players who would decide to stay old-school, would lose the game. Along with a robust internal technological backbone, every brand is coming up with products that are more attractive to look at, an array of features that could not have been simpler to operate and a keen filtering of art combos that would match the ethnic taste of the targeted buyer market. We have seen the beauty of LG’s new kitchen appliance range, and it’s very new OLED television range. With that and a lot more, LG intends to become one of the majors in smart home. Looks matter. Any business that ignore the importance of touch and feel, seems to be getting to a wrong trail. Green is in talks all around. And why shouldn’t it be? Technology has found out ways in which power consumption can be minimized while still not affecting the performance of devices. The green button has sort of awakened a number of households in terms of energy that they are consuming. Brands have started competing on the basis of the number of energy stars they have bragged. Models that utilise electricity more efficiently are thronging the market and are selling well. Side loading models of washing machines and refrigerators with more environment friendly insulation mechanisms are high on demand. Brands need to stay in tandem with how the global mentality and perception is evolving. Failure to do so might hamper brand presence in not-a-very-long term. Things related to smart technology are evolving so quickly, many models see doom even before arriving the main market. What was really cool a year ago has become obsolete now. Newer models are available at competitive prices. Well, all these are certainly acting as positives to brand values. After prices of sensors have come down, it has been a magic era. Yet, major brands work tirelessly to bring down their manufacturing costs so as to stay alive in the highly competitive market. Many have chosen to set up their in-house facilities while many more have chosen to simply bring together components offered by OEMS. Businesses choose various operating models according to their organizational goal, yet the ultimate aim remains the same – to make good stuff available at good prices. What happens if brands don’t evolve? They die! Simple! The reason is obvious. As consumers, we are becoming more aware. Expectations and demands as far as a commendable lifestyle is concerned, is increasing. Buying capacity of the average buyer has multiplied in a few years and diverse employment opportunities have opened flexible avenues. How we live, what we buy and which brands we prefer has become a more calculated and conscience decision. Consumers ask more, search more, know more and yes, they deserve the best. 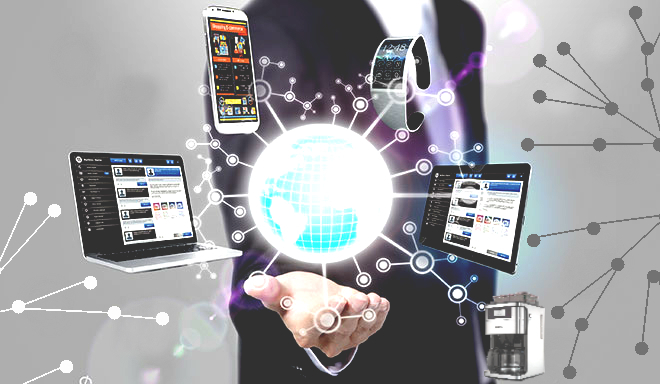 VOLANSYS has been diligently involved in offering product engineering services and connectivity solutions to businesses. The team has worked closely with many a consumer electronic brands and helped them improve on their products’ functionalities & look-n-feel. We have devised out energy efficient manufacturing techniques and charted out a formidable low time to market plan, leading to a successful market hold for our clients. Let’s know how we can be of help to you! Sign up to get updates on our latest blogs, case studies, events, news about Connected products and solutions.